Wow, I’m still surprised by how great this episode was. The episode begins with Takao going to see how Saeki is doing. He still has no idea that she witnessed his conversation with Nakamura in the library, though she only caught the last part. After a tense moment, she tells Takao that she wants to slowly build a relationship with him. The awkward atmosphere just makes the whole scene tense for both people, as they each know something the other doesn’t. That conversation leads Takao to fall even deeper into his guilt-ridden pit. He can’t continue to date Saeki while hiding the fact that he is the one that stole her gym clothes and has been lying to her this whole time. 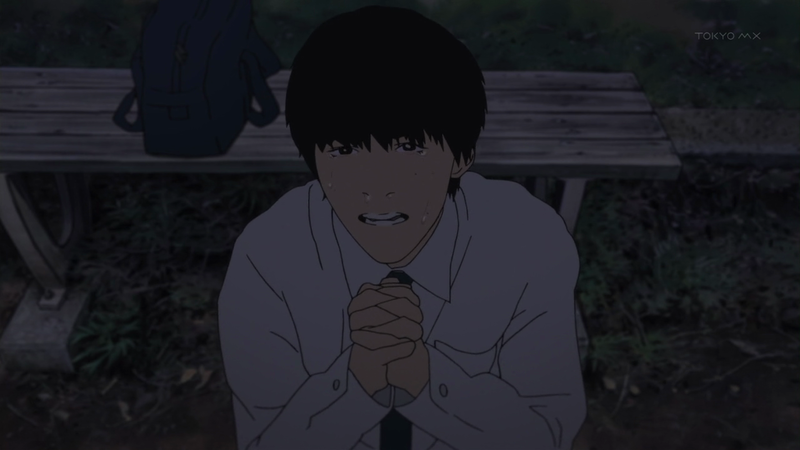 Desperate, sobbing, and on his knees, watching him plead to Nakamura to tell Saeki the truth was painful to watch because of all the emotion. Just when you thought he’d finally hit his lowest point, Takao ends up asking Nakamura of all people to help him. Despite what he’s gone through up to this point, he’s still too weak to take responsibility for his own actions. And that’s a trait that Nakamura seems to love about Takao. She finds great enjoyment out of seeing Takao squirm and suffer from all the mental abuse that she inflicts on him. Her line “I love the way you look right now” as he is on his knees sobbing is enough to give you an idea of just how twisted her idea of enjoyment is. The pivotal scene in the classroom was breathtaking to watch. Everything, from the acting, animation, and music, was executed with grace and fully captured the intensity of the moment. This is the biggest turning point within the story, so of course they had to pull out all the stops when animating this particular scene. Once the ending music began playing, with the violins and the normally creepy monotone singing, everything began to click into place. For the first time since watching this series, I got chills down my spine, not from the uncomfortable atmosphere, but from this beautiful slow-motion ballet of emotions. 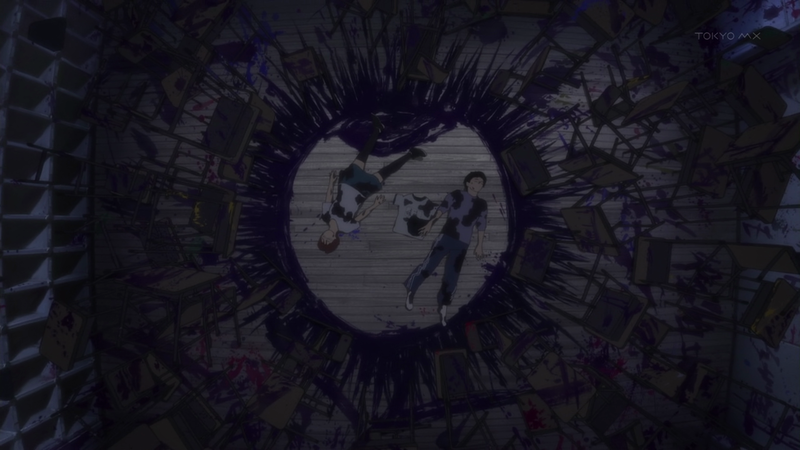 If you’ve been on the fence about Aku no Hana, I hope your opinions will change after you see this episode. And if you’ve been a steady fan up until this point, this episode will leave you speechless right at the end. Despite the slow buildup in the first half of the season, this episode changes everything. 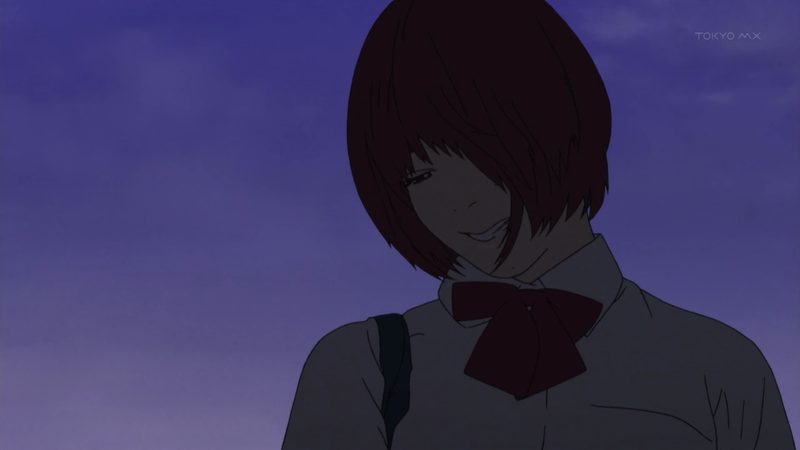 Aku no Hana has finally hit the quality benchmark I’ve been waiting for. One thing I forgot to mention was how smooth the animation has gotten. It’s gone from choppy to silky. 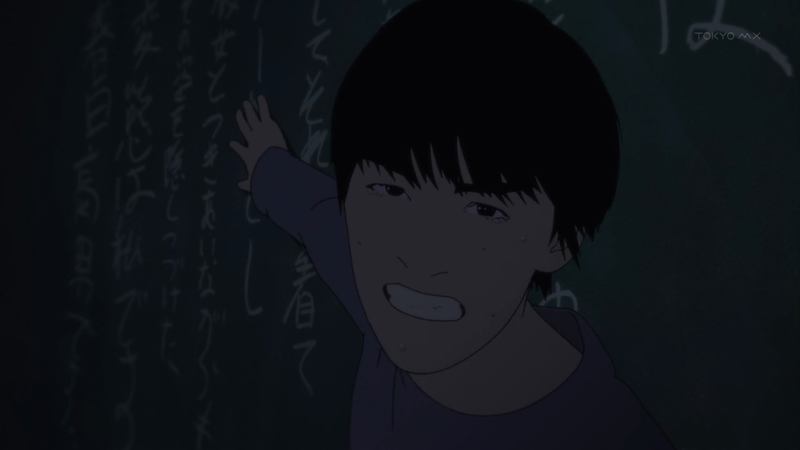 The last scene wouldn’t be as effective if it wasn’t for the rotoscoping.